The Missive Maven: Rainbows for sale! Here's an update on some new rainbow items I have for sale in my etsy shop. First up, these awesome vintage 80s rainbow hearts postcards, which I love and am using them all up myself already. 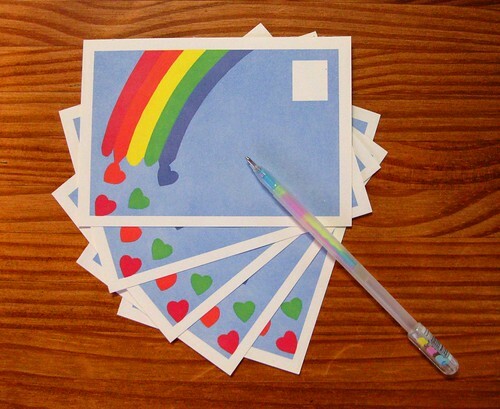 I'm loving these really fun, simple happy rainbows to send through the mail. The rainbow beams ending in hearts. 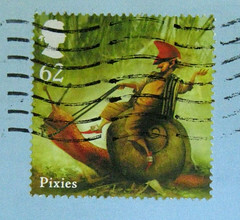 The front has the rainbow with a space for address and stamp, and the back is completely blank for your message. Each postcard is roughly 4x6 inches, and they're for sale in lots of 10. 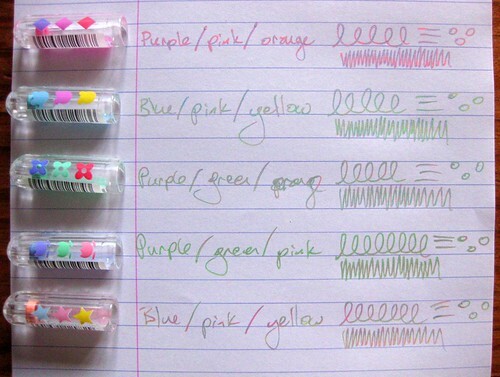 Also, I now have multiple color options for these awesome Zebra super marble rainbow gel pens, which I'm also using a lot of myself! They're great on postcards, and the rainbow colors really stand out.